As officials meet in Paris to negotiate international solutions for climate change, several American policy luminaries are urging a carbon tax. 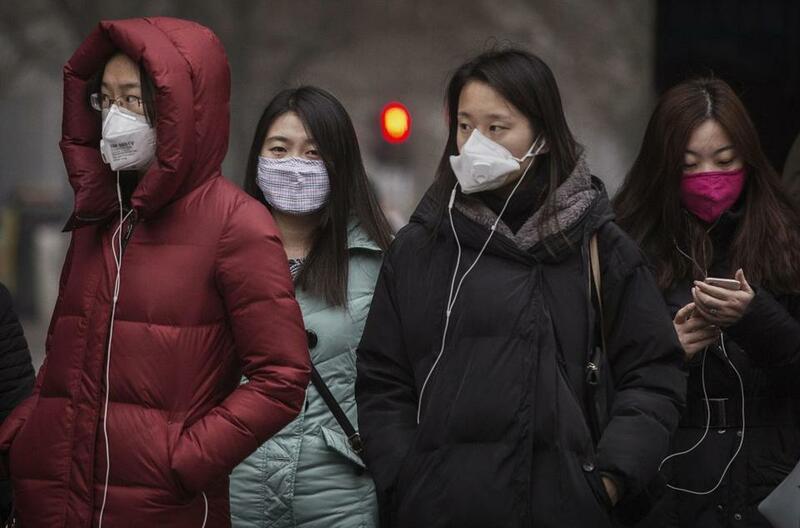 Pictured: Women in Beijing wore masks to protect themselves against pollution as they waited to cross a street. AS NEGOTIATORS labor away in Paris on climate change solutions, some American policy luminaries are urging a simple, elegant remedy: a carbon tax. “This single policy change . . . offers greater potential to combat global warming than any other policy, with minimal regulatory and enforcement costs,” they say in a public letter to the Paris participants. So far, that idea has been embraced more by the left than the right, but signatories include George Shultz, who held four cabinet-level posts under Republicans presidents, culminating in his six and a half years as secretary of state under Ronald Reagan, and Greg Mankiw, chairman of the Council of Economic Advisers under George W. Bush. Three Nobel Prize winners in economics have signed on: Columbia’s Joseph Stiglitz, former chief economist at the World Bank; University of Maryland economist Thomas Schelling; and Kenneth Arrow, professor emeritus at Stanford. And add a Nobel winner in physics to that list: Stanford’s Steven Chu, President Obama’s first secretary of energy. So why a carbon tax? Because it’s comparatively easy to administer and would help get prices right. Although carbon dioxide emissions are the primary contributor to manmade global warming, the price of carbon-based energy doesn’t reflect the environmental harm it causes. Nearly 18 years after the ineffective Kyoto Protocol, hopes are high for real progress to come from the COP21 discussions. “This is pollution just like water pollution and other forms of air pollution,” notes Chu. “There are long-term costs . . . that should be incorporated in the cost of the fuel.” If a tax were assessed based on an energy source’s carbon content, the price of fossil fuels would rise significantly, rendering it less attractive compared with cleaner energy. Then markets could work their wonders. The letter, sent under the auspices of the nonprofit Carbon Tax Center, lists these guiding principles: The tax should be calibrated to an energy source’s carbon content (the heaviest impact, obviously, would be on coal) and assessed at the industry level, which means on extractors or importers of coal, oil, and natural gas. The levy should start low but rise relatively quickly, on a predictable trajectory, to a substantial level. At least some of the resulting revenue should be used to offset the effect on lower-income households. Chu, who wants all the carbon-tax revenue to be returned to citizens, says that could be done by giving seniors a bump in Social Security, employees a payroll tax break, and the self-employed an income tax cut. 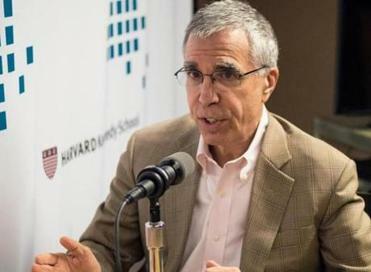 A common-across-multiple-countries carbon tax would be much easier to agree on and administer than a cap-and-trade system for carbon emissions, because there are far fewer points of potential disagreement, notes Harvard economist Martin Weitzman. Further, there’s an easy solution to the free-rider effect: If several large countries implemented such a tax, they could then assess tariffs on products from countries that failed to do so. A desire to recoup that revenue for themselves “could be enough to induce countries to participate,” says Weitzman. There’s one big problem, however: political resistance in the United States, where, unlike in other countries, the conservative approach to global warming has been to wish it away. But that’s changing. And as it does, the logic of a revenue-neutral carbon tax that complements markets may become more apparent. “One scenario is that one, and then three, and then a dozen, and then a few dozen Republicans will peel away from the monolith, enough to allow for a congressional majority,” says Charles Komanoff, executive director of the Carbon Tax Center. After all, it’s an idea with real appeal. Once you resign yourself to living in the real world, that is.